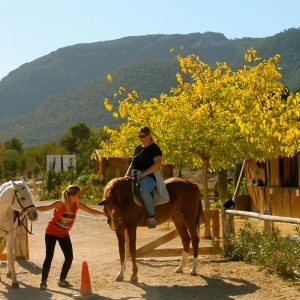 Discover the beautiful protected area of Maigmo on horseback. 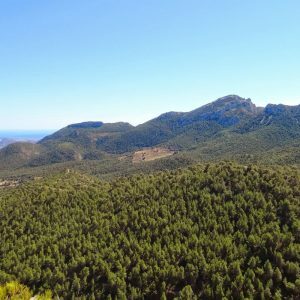 This is one of the highest points within the province of Alicante, a refuge to cool off in the hot summer months, and a beautiful change of scenery where you will view lush green mountains with its pine trees and panoramic views of the sea. 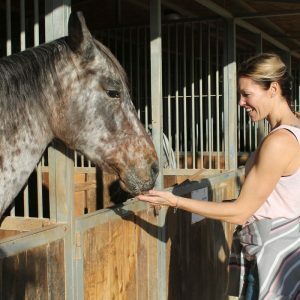 Upon arrival, our professional equestrian instructor will introduce you to your horse, explaining how to best communicate these beautiful and calm animals. It will make for a spectacular ride in the mountains! *May – August we offer full moon night trips, please ask us if interested. 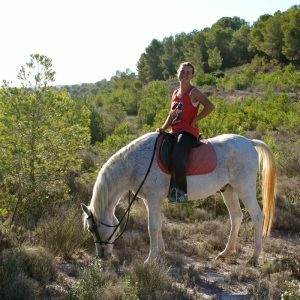 Includes: Transportation, 1.5 hrs of riding, helmet, equestrian guide, Light Tapas Picnic, Tour Leader (speaks Spanish, French, English). Price: 55€ (mínimum group of 4 people). Recommendations: Wear long trousers or jeans with sports shoes, water bottle and sunscreen. Level of difficulty: Easy to moderate, apt for beginners.